A confident smile can do wonders. For myself, I struggle with teeth staining because of my ever constant love for coffee. When I smile, I want to feel confident in it. People always say that 'Your Smile is Your Best Accessory' and I have seriously found that to be true. I think it is important to have a smile that you're happy with because it gives confidence and shows confidence. Here's the thing: dentist-quality whitening products are expensive and things like charcoal toothpaste don't make a huge difference. That's when I found a teeth whitening product that works for me: Smile Brilliant. 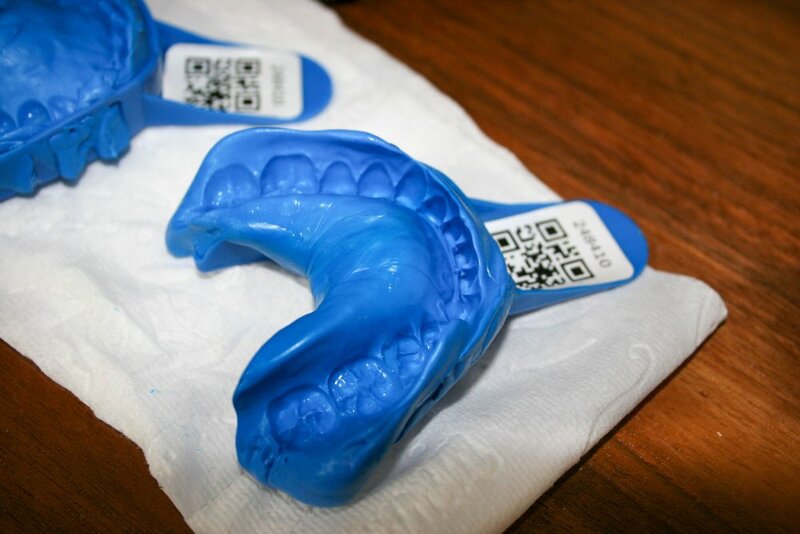 Smile Brilliant is a teeth whitening company that provide you with custom-fit whitening trays, which is exactly what you'd get at the dentist but at home. At the dentist, custom fit trays and a whitening gel is $300+; however, they don't provide you with solutions to prevent and relieve tooth sensitivity while you whiten. Smile Brilliant is made for those with tooth sensitivity, while many dentist's solutions aren't. Smile Brilliant has partnered with me today to share with you my whitening story. I am excited to share with you in my own honest, true way my experiences and progress in trying to whiten my teeth. Their teeth whitening program has worked well on my smile. My teeth were kinda white before, but now they're shinning white! Just as preface, I suffer immensely with tooth sensitivity. When I used to get product from the dentist, my teeth would become so sensitive that it hurt to eat, drink water, and even breathe out of my mouth for the next 24 hours. It was such a bad experience that I just stopped whitening my teeth altogether. With this background, I was nervous about the success of another teeth whitening product. Thankfully, not all teeth whitening products are the same. My experience with Smile Brilliant has been a smooth one that has been sensitivity free. And Lot's of Helpful Instructions! The first step of the process is to make your tooth impressions. You mix the base and catalyst putties together quickly, put them in the trays and put it on your teeth. To be honest, it can be difficult to do alone, and I would suggest the help of a friend or family member to align your impressions and help the process. After about a week and a half, they send back the finished trays! The process went pretty smooth--and I got to do it from the comfort of my own home! 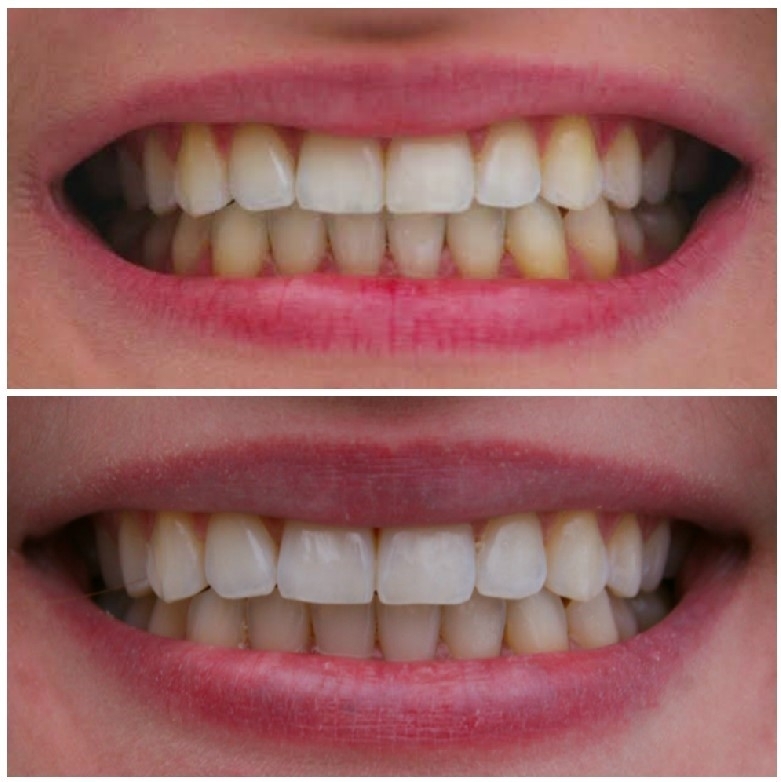 I whiten my teeth by applying a strip of gel on the front facing part of the trays and whiten anywhere from 45 minutes to even 3 hours! The longer the gel sinks is on your teeth the more likely it is to lift those deep, harder to lift stains. I gradually increased my whitening time to 2 hours. To replenish natural minerals in my teeth, prevent tooth sensitivity, and prevent restaining, I use the desensitizing gel. I apply this gel the same way to my trays and let it soak into my teeth for 20 minutes. This step is super important to me because of how sensitive my teeth can get. Thankfully, Smile Brilliant addresses this problem of tooth sensitivity! One of the best things about Smile Brilliant, other than getting super white teeth, is that I could multitask while I whitened. It was a mindful time for me to focus on getting work done. I used the time to focus on my school work and write...and of course pet my cat Sushi! My experience was so pleasant with Smile Brilliant. And I am so so so happy with my results. I was so nervous about dealing with tooth sensitivity, but encountering none, I am so blessed to have been able to find the best way to whiten for me. I wish that every single one of you could try this. Good thing one of you can! Smile Brilliant is providing a way for you to experience exactly what I have experienced, for free. The value of this teeth whitening kit is $149 if you bought it today. All you have to do to win this for free is enter your name and email address on this page. And then you're entered! This giveaway is open to USA, UK, Canada, and Australia. One winner will be randomly selected on February 18, 2018, via email. On the chance you don't win, use my coupon code to get 10% off your purchase. It is extremely cheaper than the dentist! I would love to answer any questions that you have about the product and/or questions about my experience.